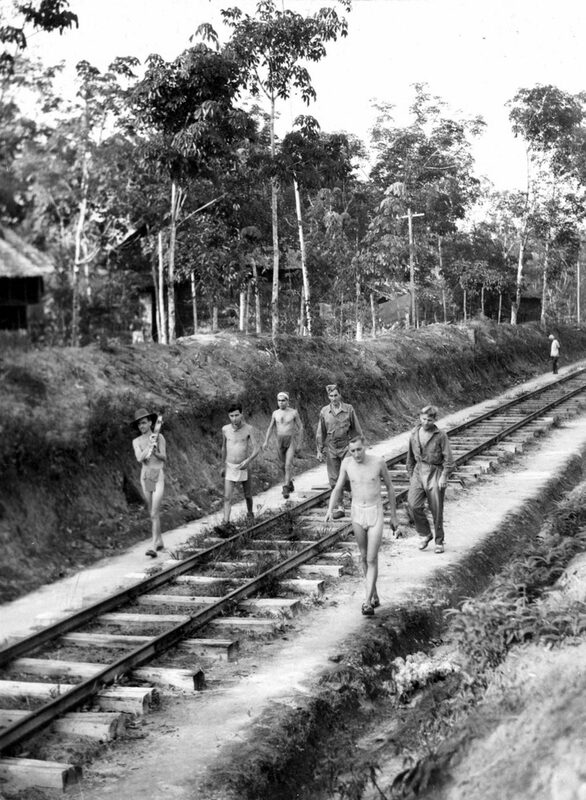 During the Second World War – between March 1943 and August 1945 – nearly 5,000 Allied Prisoners of War and 100,000 Javanese slave labourers (romusha) were forced to construct a railway from the port town of Pakanbaroe to Moeara on Sumatra. This website will provide information on the history of the railway, links to further reading and the personal stories of those whose laboured on the line. I also aim to complete a nominal roll of all POWs on the railway, linked wherever possible to public records. The site is currently being updated, so please do keep visiting as I add more information. An accompanying book focusing on the experiences of British POWs on the raiway, Prisoners on the Sumatra Railway: Narratives of History and Memory was published by Bloomsbury in late 2017. This research has been made possible through funding from the Arts and Humanities Research Council (AHRC), Leeds Humanities Research Institute (LHRI) and the Wellcome Trust.